I can has radioactive poisoning? The scales and the lower jaw look like it was a pike before photoshopping. Looks like a photoshopped pike. I catch those in Lake Erie a lot, the eyes and body frame are about right. The jaw, too. But it is soooo photoshopped. 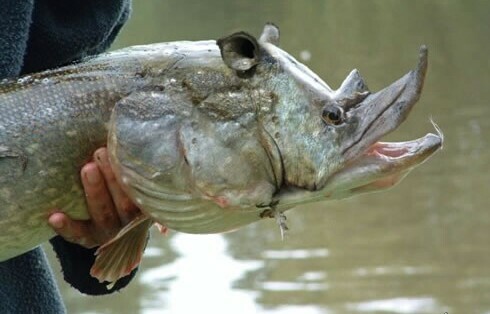 it has a rhino’s horn and ears, for crying out loud.